At the Snowflake Municipal Ball Golf Course. Mostly open and grassy. Pro Shop, rentals, sales, and restaurant on site. 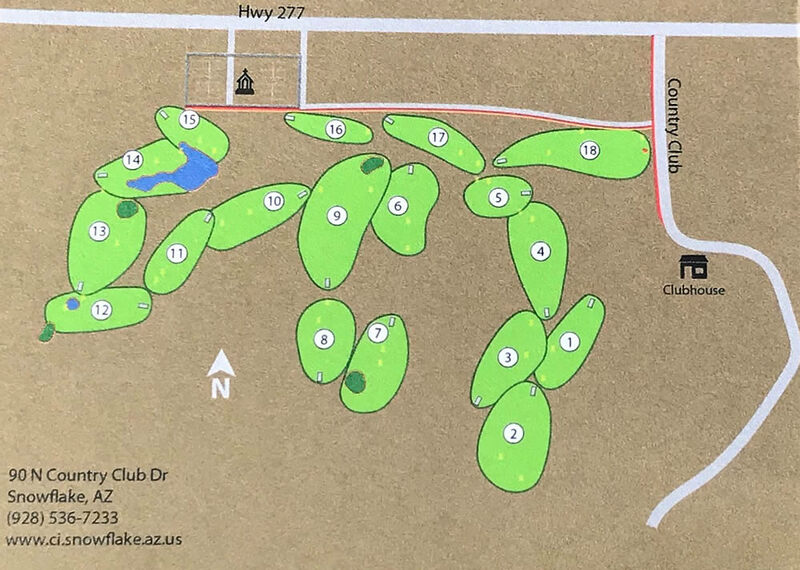 Please check in at the pro shop and get a course map before playing. From Hwy 77 in Snowflake. Go west on Hwy 277 For 2.5 miles to a left at the gas station. Go 1500'. Pro shop is on the hill by the restaurant. The course is west of the clubhouse on their West Nine. Please check in at the pro shop. 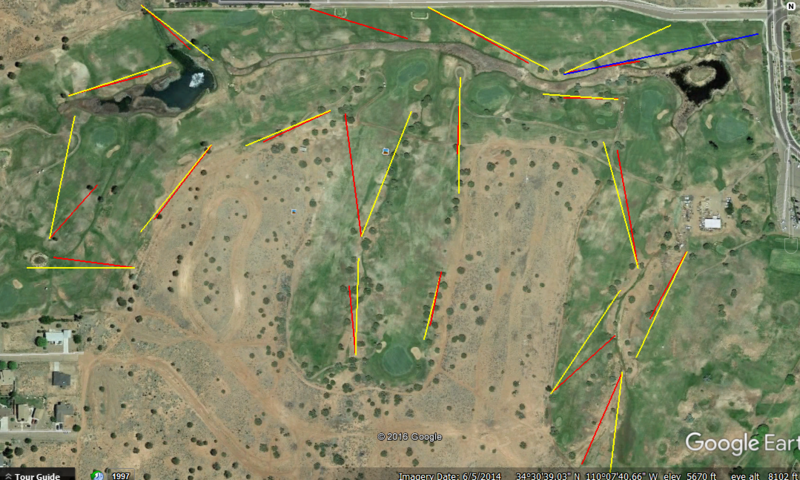 Have you played at Four Seasons Disc Golf Course? Be the first person to review this course!